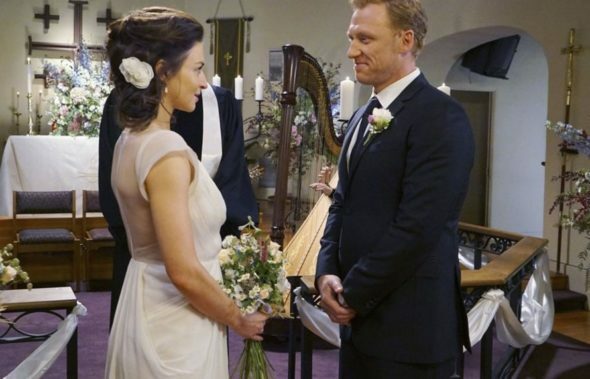 Grey’s Anatomy ended season 12 with a wedding. The ABC series will continue to explore what’s next for Owen and Amelia. Caterina Scorsone teased what fans could see on the upcoming season of the medical drama. There will be complications though. Fans of Private Practice will remember that Amelia lost her baby during the run of that series? Is she really willing to try again? Are you excited to see what happens next for this pair on Grey’s Anatomy? Tell us what you think.